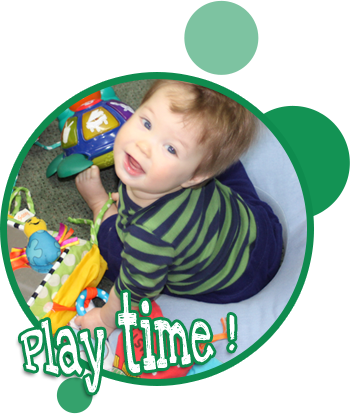 Our infant program features two rooms set up to accommodate various ages of infants. Rooms are decorated brightly with pictures on the walls and mobiles hanging from the ceiling to peak children’s learning and curiosity. One room is specifically used for 6 week to 6 month old children (normally moved up when they are crawling) and the other room for the older infants accommodating their ability to crawl and begin walking. There is a separate room set aside for their meals as well. This set up allows for each infant to be on his/her own feeding and napping schedule. 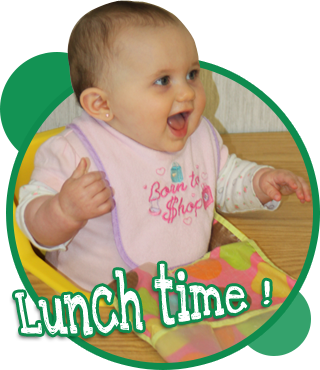 All infants are taught basic “signing” as soon as they are ready to meet the challenge. Their ability to communicate long before they are able to speak is amazing as they “sign” words like “more” “all done” and “please”. The toddler program features two rooms that allow a separate room for education and one for nap time. The rooms are decorated with bright colors, pictures, and learning tools that peak their interest each and every day. Each day includes a “school session” taught by trained teachers, that include continued signing for communication, learning numbers, colors, days of the week, and a monthly curriculum provided by High Reach Learning and the Maine State Learning Guidelines fully tailored to their age group. 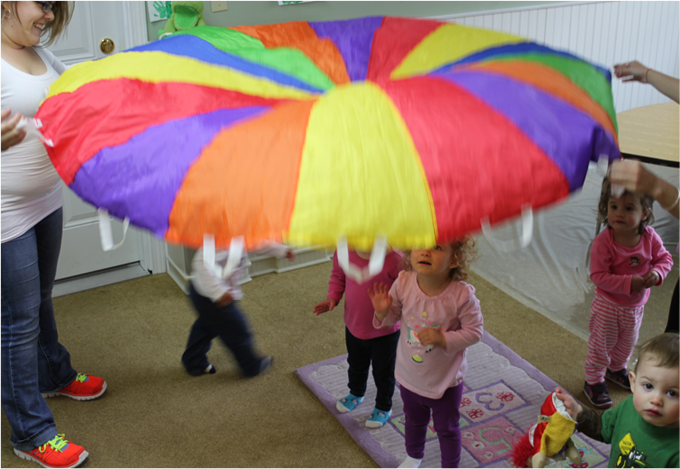 We promote “Fun in Learning” in all that we do at Cradle Inn. Each task is designed to make learning fun and interesting so that the children are not aware that they are learning at all. All toys and books that are used by the children promote additional learning while they read and play. Our children will learn to communicate with others verbally and nonverbally. Your child will make new friends; learn confidence, self-esteem, and skills necessary for a lifetime of healthy relationships. Our children will enjoy a safe, nurturing “home away from home” where they can learn to express themselves. Your children will gain the comfort and confidence in relationships and individuality. Our children will focus on the physical health so he grows up safe and strong. Gross and fine motor-skills, development, coordination, mobility, and exercise all help ensure your growing child has a healthy body. Your children will develop judgment, memory, reasoning, critical thinking, and language through a series of age appropriate activities. Children will learn reading, writing, science and math skills in an educational and fun atmosphere.